For much of the weekend, TV commentators had been predicting the Narendra Modi-Barack Obama summit would see the resolution of a legacy issue hanging over the India-US relationship — the roadblocks before their nuclear agreement. In the event, the two leaders turned out to be guarded, though Foreign Secretary Sujata Singh spoke of a “done deal”. “I am pleased that six years after we signed our bilateral agreement, we are moving towards commercial cooperation, consistent with our laws [and] international legal obligations,” Modi said. Obama, in turn, said there had been a “breakthrough understanding on two issues that were holding up our ability to advance our civil nuclear cooperation”, and the two countries were “committed to moving towards full implementation”. Their joint statement welcomes “the understandings reached on the issues of civil nuclear liability and administrative arrangements for civil nuclear cooperation”. Richard Verma, the US Ambassador in New Delhi, was even more guarded, saying “we think we came to an understanding of the liability [issue]”, which he said would operate “through a memorandum of law within the Indian system”. The next steps aren’t clear, though. The situation now is that the White House expects a “Memorandum of Law”, explaining how Indian law is compatible with what the US seeks on liability. The Ministry of External Affairs doesn’t have a timeline on this, saying it is a “work in progress”. 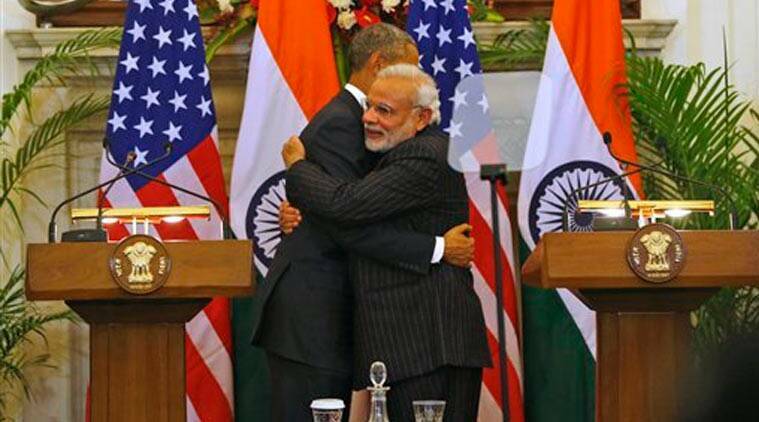 In 2005, the US agreed in principle to support civilian nuclear cooperation with India. Ever since its 1974 nuclear test, India had been denied such technology, which would insulate it from huge variations in global energy prices. From the US side, the deal required a modification of domestic legislation, and a special waiver from the Nuclear Suppliers Group. New Delhi, in turn, agreed to segregate its civilian and weapons-related nuclear programmes, bring additional facilities under international safeguards, and introduce nuclear liability legislation consistent with the 1997 Convention on Supplementary Compensation for Nuclear Damage, or CSC. There’s also a spat over whether the US, or International Atomic Energy Agency, should track equipment sold to India, but that, most experts say, is just a bargaining chip. India’s nuclear liability law, international nuclear equipment suppliers argue, doesn’t comply with CSC, which India has signed, but not ratified. India’s Civil Liability for Nuclear Damage Act, 2010, has a simple purpose: to make sure that victims of a nuclear accident can get quick compensation, without having to prove the plant operator was negligent, and irrespective of who was at fault. In return, the liability of operators was capped at 300 million Special Drawing Rights – then, about Rs 1,500 crore. Then in opposition, the BJP forced the introduction of several amendments to CLiNDA that aren’t consistent with CSC – hence the problem. Sushma Swaraj, ironically now External Affairs Minister, said Prime Minister Manmohan Singh had “betrayed the country’s sovereignty for his own prestige”. There are, equipment suppliers say, a couple of problems. Section 17b of CLiNDA says the plant operators — in India’s case, the public sector NPCIL —can claim compensation from their equipment suppliers if the accident resulted as a result of “equipment or material with patent or latent defects”. And Section 46 makes both suppliers and operators liable to be sued by accident victims, over and above the Rs-1,5000-crore cap. Together, suppliers say, these laws leave them vulnerable to open-ended criminal action and tort-law compensation claims for any damages. This is unfair, they say, because after a contractually-agreed time-frame, it is the operator — not the supplier — who ought to spot and rectify defects and therefore be liable. Prior to CLinDA, NPCIL contracts with Indian vendors did absolve them of civil liability except where specified in the contract, which was limited in terms of value and time frame. In the US, the law allows victims to file damages claims against operators, suppliers and designers. However, when US firms started selling abroad, they pushed for the concept of legal channelling, which left only operators liable. The Paris Convention, 1960, and the Vienna Convention, 1963, say no one other than operators can be held responsible. In 1997, the CSC came with some reforms, setting up an international liability fund. The major suppliers of equipment to India are all signatories to these conventions. CLiNDA is in violation of these. The government says setting up an insurance pool will fix things, but most experts don’t agree. CLiNDA already has a provision for a pool; Section 7 states where the liability exceeds the Rs 1,500 crore cap, the central government “may establish a fund to be called the Nuclear Liability Fund”. This is the fund the government has been saying it will establish. This will protect suppliers against claims by the operator. However, it won’t do much to reassure suppliers, since they will continue to be liable to tort action by accident victims. Can the law be tweaked? The Department of Atomic Energy and NPCIL think international vendors will fall in line if rules and definitions in CLiNDA are tweaked. For example, NPCIL could be defined to be both operator and supplier, since it provides design specifications for reactors it operates and the vendors would then be called “fabricators” or “contractors”. Another suggestion is for the government to explain that Section 46 applies only to criminal liability, not civil liability, i.e intent vs accident, and not involving any money. However, it is far from clear if ideas like these would stand legal scrutiny. Firms may see the government’s offer as a postdated cheque that can be cancelled by courts or a future government. Thus, Prime Minister Modi will likely have to go to Parliament at some stage, to amend CLiNDA.